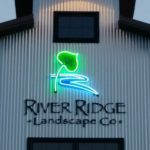 Whether your vision for your property’s landscaping is large or small, you can rely on River Ridge Landscape Company to design distinctive outdoor environments that capture your personal taste. 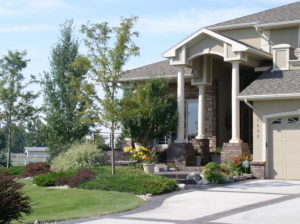 We offer a complete range of landscape construction services for both residential and commercial landscaping projects in Billings, MT and surrounding areas. Our trained landscape design team is focused on making your ideal outdoor space a reality, by listening to your goals and delivering on them with a plan that transforms your outdoor space into a landscape that is both exquisite and functional. We work with the highest-quality plant materials, combining color, texture and shape. Then we add in hardscape accents and options like dramatic night lighting to achieve award-winning results. With the area’s largest team of degreed landscape designers, we’re ready to help you develop complete plans for your landscape. We prepare detailed plans and specifications enabling you to transform your landscape all at once or do the work in stages. We also provide lawn and landscape maintenance services to keep your yard looking fantastic for years after installation. We have a history of quality work and satisfied customers – hear it from some of our past clients.